The Department was founded by Prof. Valerian I. Startsev in 1961 with the purpose of investigating the dislocation mechanisms of low-temperature plastic deformation of solids, studying the properties of individual dislocations and establishing a link between low-temperature mechanical properties of solids and those of structural defects. 1.Experimental study into internal friction, plasticity and fracture of a wide variety of solids at low (2-300K) and very low (0.4-2.0K) temperatures. 2. Theoretical study of different dislocation phenomena and effects with due account of a specific role of low and superlow temperatures: nucleation of dislocations; quantum and thermally activated motion of dislocations through lattice and impurity barriers; dislocation-conduction electron interaction in normal metals and superconductors; influence of dislocations on elementary excitation spectra of crystals; dislocation mechanisms of acoustic emission of crystals; interaction between dislocations and molecular orientation states in fullerite C60. Observation of twinning dislocations and their motion along the twin boundary in calcite what is equivalent to the recognition of a dislocation mechanism of crystal twinning. Observation of and sharp distinction between two branches of dislocation mobility, one of which corresponds to a thermally activated and the other to a dynamic mode of dislocation motion. Detection of metal softening in going to a superconduction state, what is the most prominent achievments of the Department. Observation of low-temperature anomalies in plasticity of metals, alloys and alkali halide crystals and their correlation with quantum properties of dislocations. Determination of principal regularities in low-temperature jump-like deformation of metals, and observation of the action of superconducting transition on this deformation. Detection of and study into low-temperature superelasticity of short-range ordered In-Pb alloys caused by pseudo-twinning. Observation of low-temperature anomalies of microhardness of fullerite C60 and their relation to orientation relaxation of C60 molecules. Development of a theory of dislocation electron drag in superconductors. Development of a theory of acoustic emission by dislocations in crystals, and prediction of new mechanisms of annihilation and transient radiation. Theoretical description of the influence of molecular orientation relaxation on thermal, acoustic and plastic properties of the low-temperature phase of fullerite C60. Detection of local adiabatic heating up to melting temperature on the surface of low-temperature shear fracture in tension for metallic glasses and in compression for bulk ones (below 1K included). Observation of anomalies in the mechanical properties of metallic glasses of stoichiometric compositions (eutectic and some others) and of their relation to the atomic structure of intercluster boundaries. Observation of a low-temperature anomaly in diffusion of dislocation kinks in the second-kind Pierls relief. The machine permits load and temperature to be fastly varied during experiments. to investigate resistive properties of samples by a standard dc- four-probe technique. Voltage sensitivity is +/-1*10-8 V.
to perform the above measurements at a constant magnetic field up to 1*104 Oe. The unit includes a temperature stabilizer and an interface module providing data transfer to a personal computer. The experimental data are processed with an application software package specially developed for each type of the measurements. The possibility exists of operating in real time. М.И.Каганов, В.Я.Кравченко, В.Д.Нацик. Электронное торможение дислокаций в металлах. УФН, т. 111, вып. 4, 655-682 (1973). М.И.Каганов, В.Д.Нацик. Электроны, дислокации, звук. Сер. Физика, № 5. Знание, М.: 1977, 64 с.
А.М.Косевич, В.Д.Нацик. Континуальная и динамическая теория дислокаций. В кн. : Физическое материаловедение в СССР. Наукова Думка, К.: 1986, 198-221 с.
В.В.Пустовалов. Методы изучения пластичности и прочности твердых тел при низких температурах. Наукова Думка, К.: 1971, 95 с.
В.И.Старцев, В.Я.Ильичев, В.В.Пустовалов. Пластичность и прочность металлов и сплавов при низких температурах. Металлургия, М.: 1975, 325 с.
Б.И.Веркин, В.В.Пустовалов. Низкотемпературные исследования пластичности и прочности (приборы, техника, методы). Энергоиздат, М.: 1982, 192 с.
В.И.Доценко, А.И.Ландау, В.В.Пустовалов. Современные проблемы низкотемпературной пластичности материалов. Наукова Думка, К.: 1987, 162 с.
T.A.Parkhomenko, V.V.Pustovalov. The low temperature yield stress anomaly in metals and alloys. Phys. Stat. Sol (a) v. 74, N 1, 11-49 (1982). В.В.Пустовалов. Низкотемпературные аномалии пластичности кристаллов с эффективными барьерами Пайерлса. ФНТ, т. 15, № 9, 901-919 (1989).(Sov. Journ. Low Temp. Phys. V. 15, N 9 (1989)). В.В.Пустовалов. Влияние сверхпроводящего перехода на низкотемпературную скачкообразную деформацию металлов и сплавов. ФНТ, т. 26, № 6, 515-535 (2000). (Low Temp. Phys., v. 26, N 6, 375-389 (2000)). V.V.Pustovalov. Superconducting transition effect on low-temperature jump-like deformation of metals and alloys. In: Crystal Lattice Defects and Dislocation Dynamics. R.A.Vardanian (ed. ), Nova Science Publishers, N.Y. (2000), p. 117-148. S.V.Lubenets, V.I.Startsev,L.S.Fomenko. Dynamics of twinning in metals and alloys. Phys. Stat. Sol. (a) v. 92, N 1, 11-55 (1985). С.В.Лубенец, В.Д.Нацик, Л.С.Фоменко. Модули упругости и низкотемпературные аномалии акустических свойств высокотемпературных сверхпроводников. ФНТ, т. 21, № 5, 475-497 (1995). (Low Temp. Phys., v. 21, N 5, 367-385 (1995)). There are 5 doctors and 11 candidates in Physics and Mathematics Science at the Department. Department has long-term traditions of international cooperation. 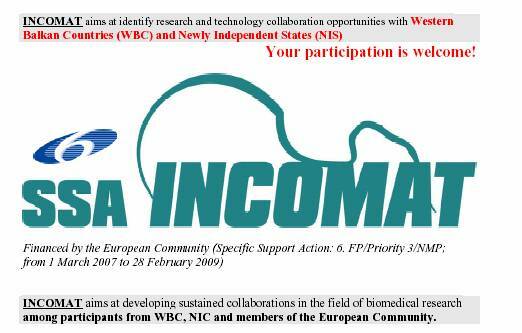 At the present time department participates in INCOMAT project financed by Framework Programme - 6 of European Community, Priority 3 “Nanotechnology and nanosciences, knowledge-based multifunctional materials; new processes and devices”. Objective of project is creating international cooperation teams of excellence in the field of emerging biomaterials surface research for implants and artificial joints. Fifteen innovative firms and institutes from 10 European countries and USA take part in project. Contribution of department is providing by nanostructural titanium with improved biocompatibility developed by original cryomechanical treatment.